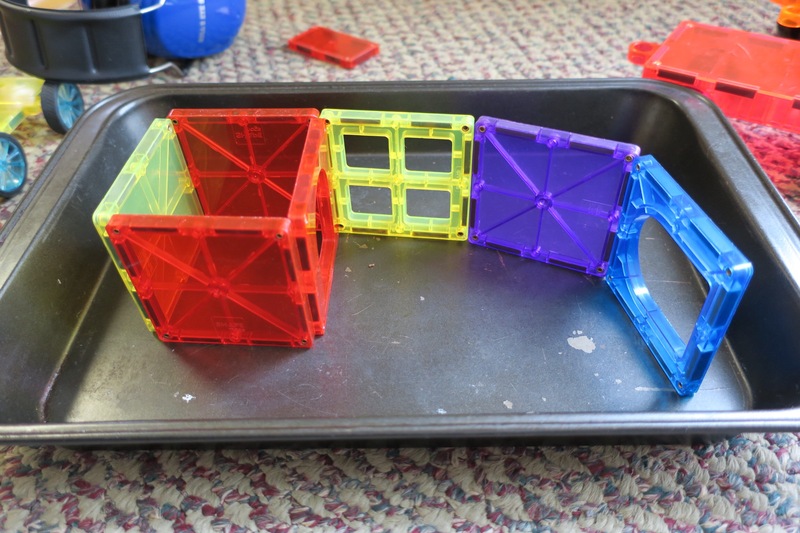 Last week, I came across a fantastic activity involving Magnatiles. 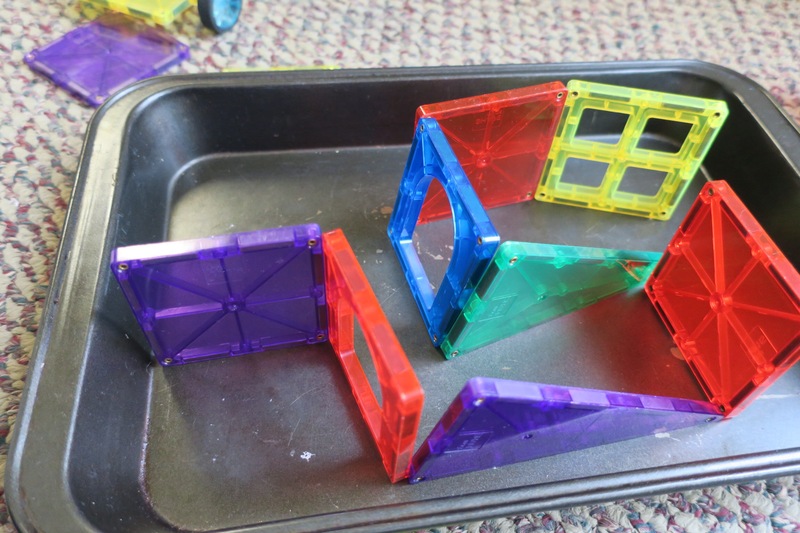 The idea is to create a maze using magnetic tiles** and a cookie sheet, and then run a marble through the maze. While it’s a great idea, presenting this as a predetermined maze with a single goal misses out on the beauty of these open-ended materials. I showed the video to my son, 6, and asked if he was interested. We then gathered materials. I used a 9×13 cake pan because the size was more appropriate for my kids’ arm lengths, and he got to work. His initial idea was using vertical rather than flat tiles, and he experimented for a while with that. He then added a green beginning and a red ending and started constructing obstacles between the two. 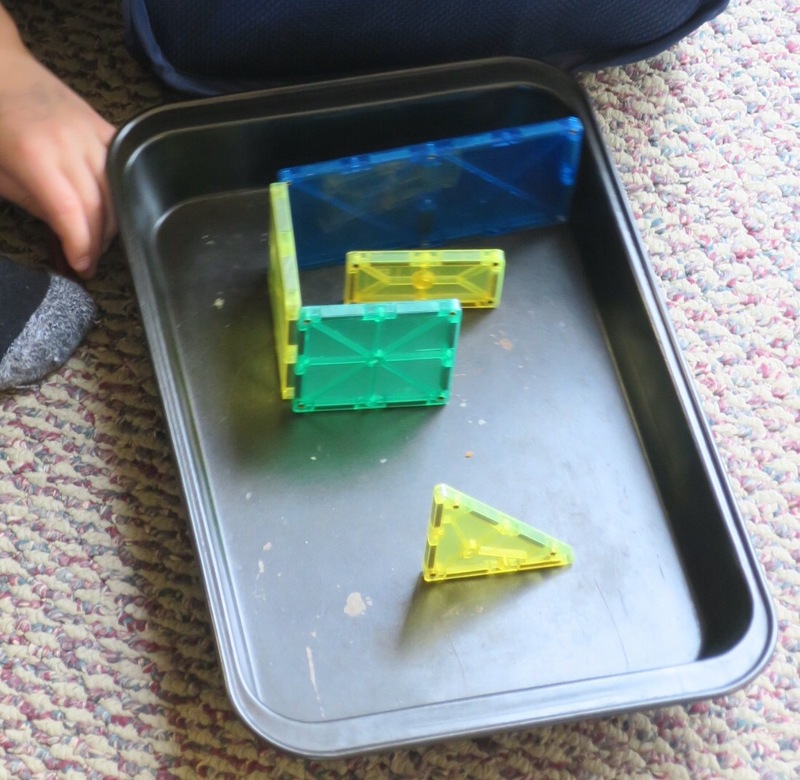 Then he started adding roofs and tunnels to play with running the marble through those elements. 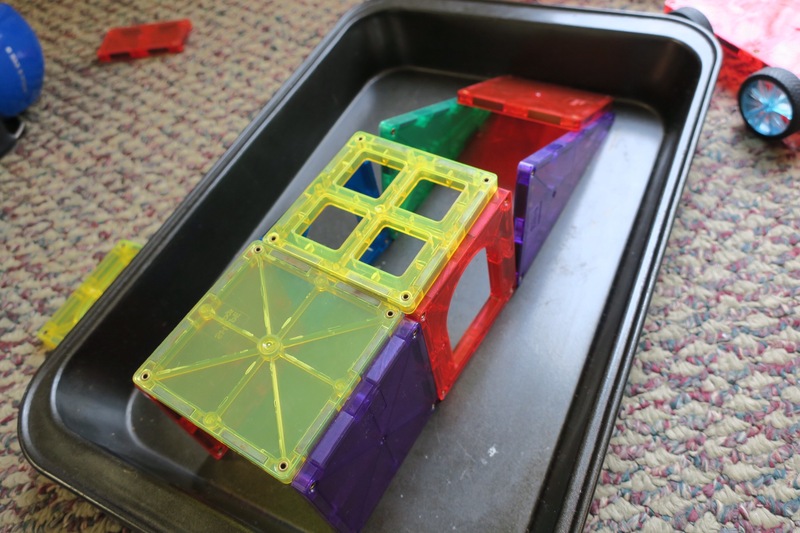 When his sisters took over, we added houses with walls and created a marble slide. 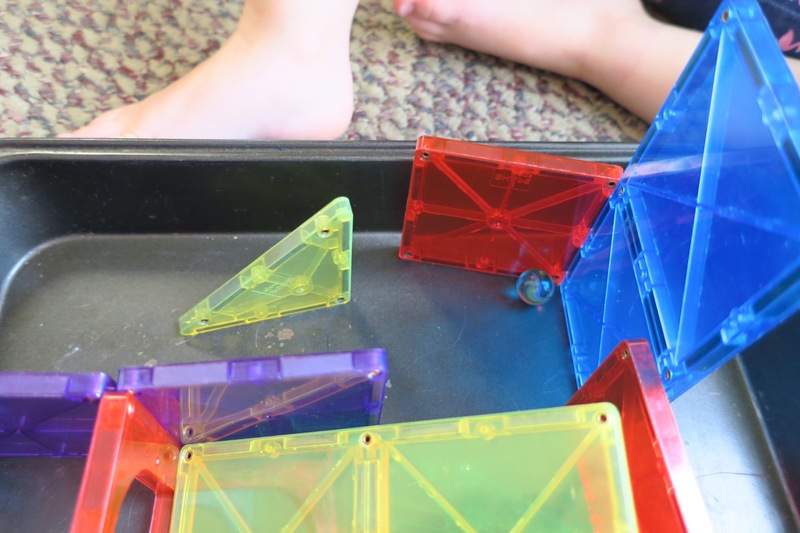 We worked on fine motor control, balance, the pincer grip, spatial skills, executive function and planning, and the scientific concepts of magnetism, friction, inertia, and gravity were all involved, but to them it was play. They were able to wonder, experiment, create, and test their hypotheses. That’s learning.